A key component of any successful graduate program is that it leaves its students well prepared and well situated to find meaningful employment upon completion of the degree. Professional development, therefore, is a critical part of graduate education at Princeton University. To complement academic departments' offerings, the Graduate School provides programming and resources to promote graduate student success in research, teaching, career exploration, and professionalism. Graduate students can participate in many courses, workshops, and co-curricular programs to explore their professional interests and develop and learn about the transferability of their writing, anaylitic, research, public speaking, and teaching skills. The Graduate School collaborates with campus partners to provide robust programs across a wide spectrum of students' interests and needs. Feel free to contact Academic Affairs within the Office of the Dean of the Graduate School with your questions and to learn more about professional development opportunities at Princeton. Professional Development Learning Cohorts (PDLCs) are co-curricular learning opportunities for graduate students that are geared to broadening graduate student professional and career development. 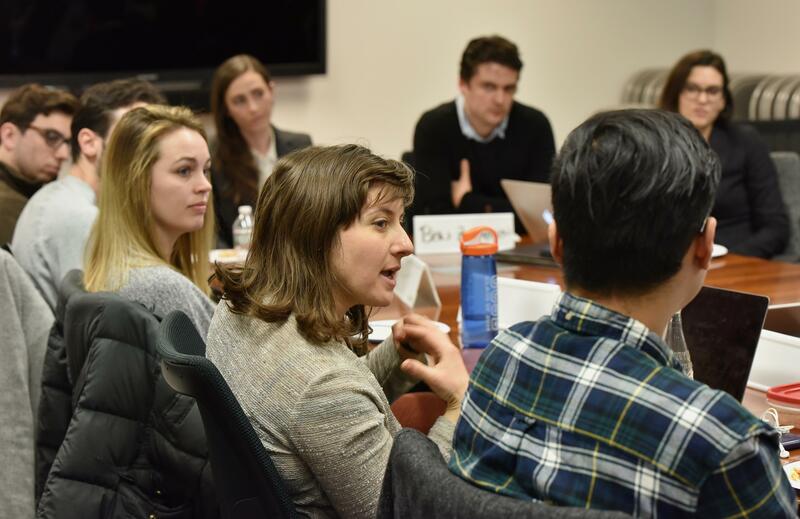 Developed and sponsored by the Office of the Dean of the Graduate School, PDLCs are interdisciplinary cohorts of 10-25 graduate students who meet throughout the academic year to explore a special topic. PDLCs build on and reinforce each student’s graduate training, and each PDLC draws on graduate student content knowledge to inform the cohort’s investigation of the topic. PDLCs typically also include at least one experiential component, such as a site visit, conference presentation, or internship opportunity. Graduate students will find opportunities to build their skills as teachers and mentors in a variety of contexts at Princeton. Important partners and programs in this area of professional development include the McGraw Center for Teaching and Learning, the Prison Teaching Initiative, and the ReMatch Mentorship program. Princeton also partners with local community colleges to offer graduate students teaching experience in a variety of learning environments. Key campus partners specialize in helping graduate students develop both academic writing and practical writing skills, as well as oral and public communications expertise. We encourage graduate student to use the services of the Writing Center, PrincetonWrites, and GradSpeak early in their graduate studies. The Office of the Dean of the Graduate School is also a primary sponsor of Princeton Research Day, which gives students an opportunity to present their research to nonspecialists in a public setting. Dedicated staff and resources within the Office of Career Services support graduate students' career development and exploration of a broad range of career possibilities. In addition, the University Administrative Fellows program enables graduate students to better understand how universities operate, which can greatly increase a scholar's ability to navigate successfully within an academic institution and can also prepare a scholar for an administrative career. The Keller Center provides courses, lecturers, internships and makers' space for graduate students who want to explore the world of entrepreneurship. Graduate students can seek campus funds for research, conferences, and internships from a variety of sources - academic departments, administrative units, campus life groups, and affiliated organizations - through the SAFE (Student Activities Funding Engine) portal.